- Standing guard in a gothic arch, the Winged Lion is carefully protecting an hourglass, symbolically helping to prevent lost or wasted time. 5" tall. 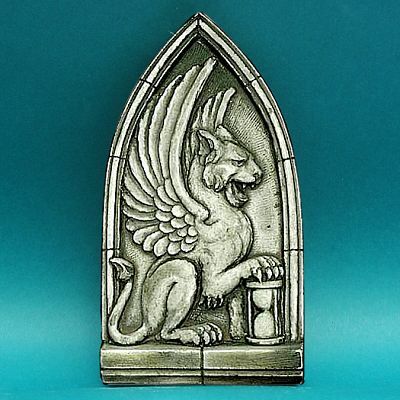 Do you have any other questions about our Winged Lion Relief?